B A N C O: Join Ed Asner, Rep. Cynthia McKinney, and Howard Zinn: Sign to Support Benton Harbor Leader! Join Ed Asner, Rep. Cynthia McKinney, and Howard Zinn: Sign to Support Benton Harbor Leader! A courageous community leader in Benton Harbor, Michigan, Rev. Edward Pinkney, is coming to trial on March 15th on trumped-up charges of voting fraud. We call for these charges to be dropped, and we pledge our support to Rev. 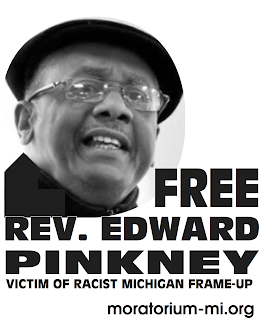 Pinkney and the community movement he has been leading for many years. Benton Harbor burst into the national news in June of 2003 when hundreds of unemployed African American young people rose up in anger after a 28 year old resident, Terrance Shurn, died as a result of police action. This was only the latest of a plague of incidents of racial violence and police brutality over many years. In 2004-2005 Rev. Pinkney and his organization, BANCO, exercised their democratic rights by working in a successful recall campaign against a person who did not represent the community's interests, a corrupt city commissioner backed by the Whirlpool Corporation, the largest employer in the area. Then, in an attempt to circumvent the will of the people, the vote was overturned by a local judge. In a further outrage, Rev. 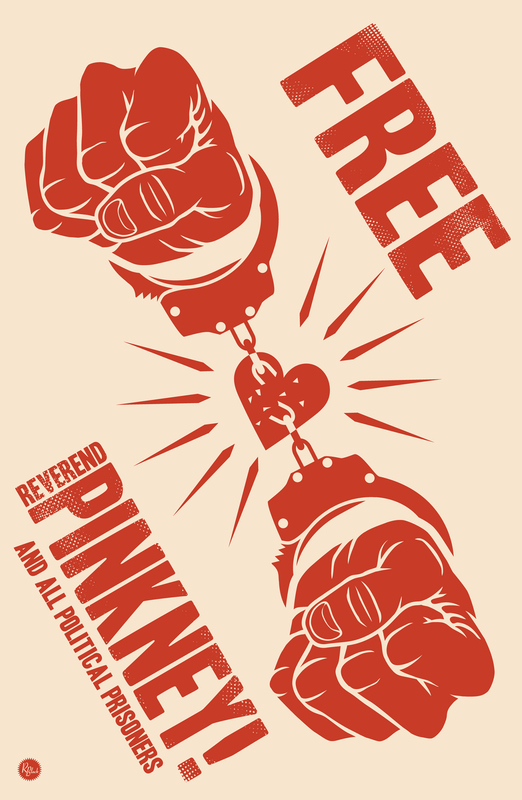 Pinkney was arrested on vote fraud charges. He faces a possible sentence of 20 years. Whirlpool is actively working to build a golf course and expensive homes on Lake Michigan and turn Benton Harbor into an exclusive vacation area. This plan will displace senior citizens and others. Small amounts of money, $5, given to campaign workers for pro-recall work were alleged to be payoffs for a pro-recall vote. A government witness signed an affidavit that the recalled commissioner had paid him $10 to say that Rev. Pinkney had paid him $5. Another government witness was threatened with a prison sentence if she did not testify that Rev. Pinkney had paid people to vote; she had earlier signed an affidavit that she was paid to pass out flyers and work the polls, nothing more. Two key witnesses for the defense were recently arrested and imprisoned. Benton Harbor is a small town, 92% African American, where 1/3 of its households have annual income below $8,000 and unemployment is at 65%. Rev. Pinkney and the Black Autonomy Network Community Organization that he heads have been working to bring jobs to the city. They deserve not repression but support. We must stand with our leaders against those who trample on our rights in order to defend economic and racial injustice. We pledge to do so in this immediate and urgent case and call for a dropping of all the charges! Ann Arbor Coalition Against the War (AACAW), Mi. Zarinah H. Awad, Director, The Cultural Cup Food Bank Inc.
Black Men in Unions Org. Adrienne Maree Brown, League of Young Voters. Richard Clement, Minority Affairs and Outreach, Lansing, Mi. Coalition Against Police Brutality, Detroit, Mi. Defend Palestine, Ann Arbor, Mi. Mark Donham, community activist, Il. Janet Fay, substitute teacher, special needs, Kalamazoo, Mi. Anna Fisher, East Lansing, Mi. Terry Fister, legal assistant, Cassopolis, Mi. Rev. Mary Gault, Church of the Brethren, Sunfield, Mi. Richard L. Giovanoni, Coordinator, Camden County Green Party, NJ. Jean and Joe Gump, Bloomingdale, Mi. Jewish Witnesses for Peace & friends(a Palestine solidarity group), Ann Arbor, Mi. Mike and Carmen Kelly, Harper Woods, Mi. Eric Mann, Director, Labor/Community Strategy Center, Los Angeles, Ca. Rev. John Moore, chairperson, Stop the War, Fresno, Ca. San Pedro Neighbors for Peace & Justice, Ca. Kadesha Simpson, Teacher, Ann Arbor, Mi. Chris Venn, San Pedro Neighbors for Peace & Justice, Ca. Rev. Dr. Bruce Wright of the Refuge, St. Petersburg, Fl. Donations are urgently needed for the legal defense. You can do so online by going to http://bhbanco.blogspot.com and clicking on "Make a Donation." Or you can send a check made payable to BANCO and send it to 1940 Union St., Benton Harbor, Mi. 49022. Contributions are tax-deductible. BANCO is a registered 501(c)(3) non-profit organization. If there are other ways that you can be supportive, contact Rev. Pinkney at any time at 269-925-0001 or banco9342@sbcglobal.net.